When you think ‘vet tech’, what comes to mind? A kind veterinary nurse, giving your pet a bit of extra love when they’re sick? Or, a skilled animal handler, calmly assisting the doctor through procedures? 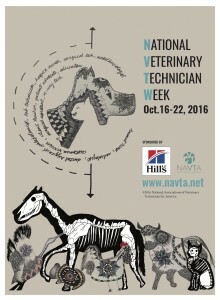 While these are a part of the job, the scope of the veterinary technician’s work is much greater than many people realize. With over twenty years of experience in veterinary medicine, Sandra Robbins is a good example of the many different roles a vet tech can take. Sandra started working as a veterinary technician in a private practice. During the first eight years she mastered the skills of veterinary nursing, and became a Certified Veterinary Technician. She made the move from private practice to Foster Hospital for Small Animals where she began working as a CVT in Anesthesiology. Anesthesiology is one of the busiest units in the hospital. To work there requires focus, flexibility, and a firm understanding of the technical aspects of anesthesia. Sandra excelled. She earned her Veterinary Technician Specialty (VTS) in anesthesia, and continued to work in the unit for eight years! 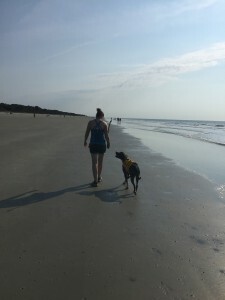 Sandra walking on the beach with one of her three dogs. Over the years, Sandra not only completed her clinical responsibilities, she also took on the role of mentor. Sandra reflects, “…the most rewarding part of my job was watching the ‘newer’ technicians become the mentors to even newer employees. It has been so nice to watch people become comfortable and confident enough to teach their knowledge to the veterinary students and even newer hires.” This ‘paying-it-forward’ attitude is common amongst veterinary technologists at Cummings Veterinary Medical Center, where part of the job is contributing to the education of those around them. Recently, Sandra has taken on an entirely new area of veterinary medicine: behavior. 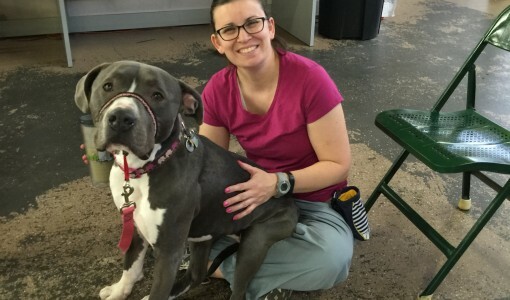 Whereas her previous positions were largely hands-on and technical, her new role will give her the opportunity to educate clients and help them learn new ways to interact with their beloved pets. It’s a new challenge for Sandra, and she is excited to take it on. For twenty years, Sandra has shown a commitment to the professional development of herself and others. For this, we salute her! 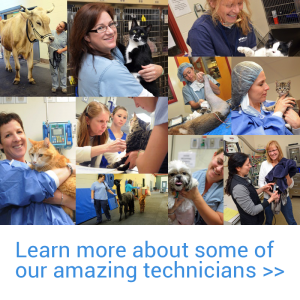 Looking for veterinary technician jobs?